Training and Support: Extensive initial and ongoing training, in-store, hands-on plus online with our MBE Academy. Marketing Support: MBE Australia provides comprehensive marketing support. This includes the main website at www.mbe.com.au, plus a quarterly Market Action Plan. All artwork is specifically tailored for each quarter, with the owner having to implement the components of the plan. 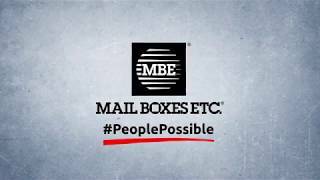 MBE is the world’s largest Business Services Franchise with more than 2500 centres worldwide. We offer a wide range of B2B services. Franchisee Network – Our franchisees are talented, experienced individuals who are successful and bring a wealth of knowledge to our increasing network of centres. Strategic Technology Planning – We stay on the cutting edge of technology to ensure that we offer our customers state-of-the-art solutions. Full-Service Capabilities – Every MBE franchise is equipped with the technologies, capabilities and training that will ensure you exceed customer expectations and eclipse the competition. Not a Single Product Franchise – Owning and MBE centre is like owning three businesses in one, with postal services, pack & ship and printing. Internationally Recognised Brand – With a network of more than 2500 business centres, become part of a growing worldwide family. Strategic Sales and Marketing Support – We help you develop relationships with your customers by helping you show them that you are their vital connection for business support services. If you are ready to take control of your future, MBE has suitable locations available. B2B franchises: Mail Boxes Etc. The key to your business success is here!